I found this on 30 Days and within a day I had the ingredients to make it, that is how bad I wanted it! Remove frozen rolls from freezer and loosely wrap them in plastic wrap and allow to sit at room temperature for 45 minutes. Cut rolls in half with a clean pair of scissors. Mix the melted butter and seasonings together and pour over dough and mix. Add ½ C of grated cheese and combine. You want each piece of dough to be coated. 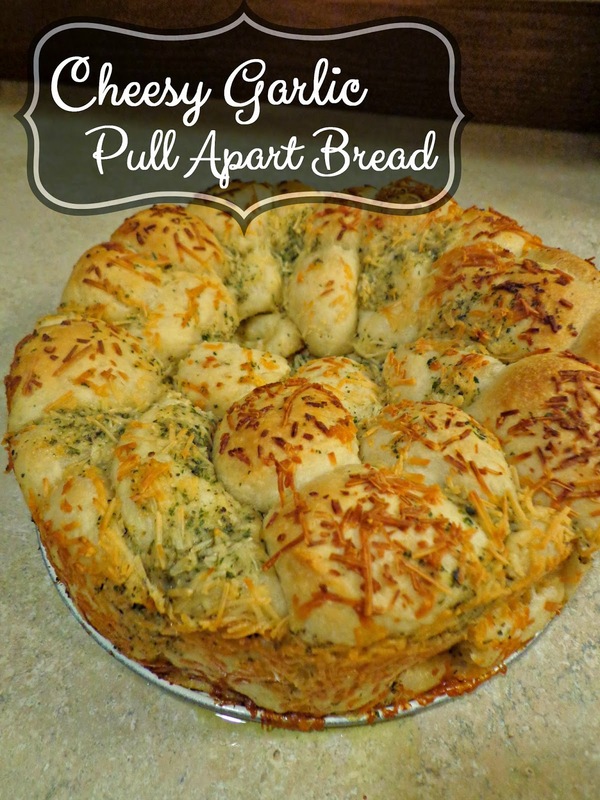 Line the bottom of a 9 inch springform pan with the piece of dough and then top with remaining grated cheese. Allow to rise in a warm place for 1½ – 2½ hours. Cover a cookie sheet with foil and place your springform pan on the cookie sheet. The butter will leak out! Bake at 350 for 20-25 minutes or until center is completely done. Enjoy! It is so delicious!